Please find attached scanned results of the Moel-y-gamelin Fell Race on Sunday 24th June. Jayne Joy picked up a prize for 3rd senior lady and was good to see Steph Charman picking up her prize too. Joe Beswick was out on the course providing the much needed support. 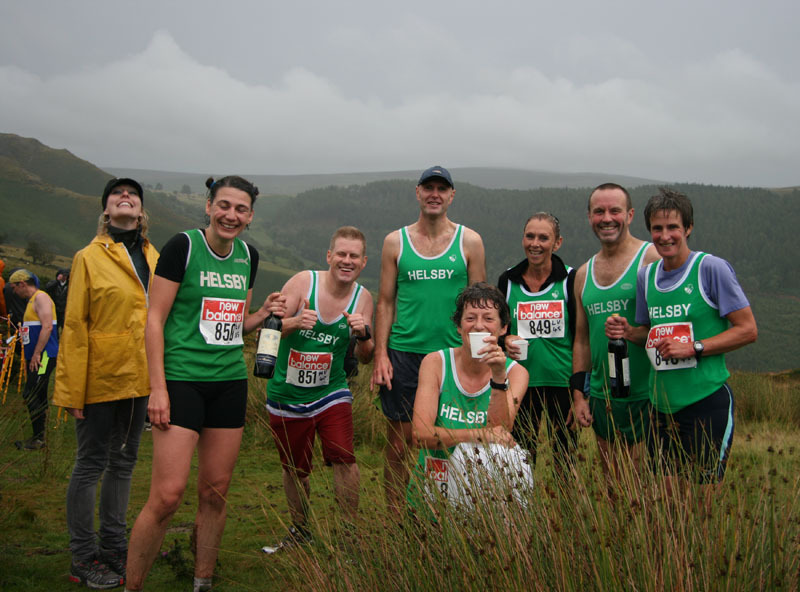 A wet and windy night at the Ponderosa did not deter the Helsby runners for the Penultimate race in the Helsby 2011 Fell series. Once again the ladies shone in the prizes, with Jane and Rachel collecting bottles of wine in reward. Quote of the evening surely goes to Nesta, who incredibly, at the finish asked to go round again. Bare in mind this was Nesta’s first foray onto ‘the fells’! Support was provided on the night by Andy, also with Camera in hand, and to Joe and to Jayne, so many thanks to those prepared to get soaked and cold without even running! The next fell counter is not till Sunday 9th October , the Breidden Hills race so details will follow before that event. With what was a record turnout of 118 runners to make their achievements all the more spectacular, two Helsby runners enjoyed their place on the Ponderosa Podium in 1st Place. Well done to both Jane and Alec continuing the impressive winning streak. If I am not mistaken I think both these runners have now had two victories apiece in two races! Joe gave some great hillside support as always, noticing how tightly the Helsby front runners were packing at the top of the first climb. It looks like next season will have some very close battles in the fell races. So please come along and be a part of it! When photos become available of the Ponderosa I will post an edit on the Helsby blog. Comments and thoughts always welcome!